This course combines an introduction to archaeology with hands-on work on 2500 year-old archaeological nds in LdM’s Archaeology Lab. These nds have recently been unearthed in central Italy in the archaic settlement of Accesa, under the scienti c direction of the University of Florence, and in the Hellenistic necropolis of Bosco della Riserva, near Tuscania, where an excavation project is being conducted by LdM. Students will learn what happens to the nds once they leave their recovery contexts and arrive in Florence: here, under the expert guidance of the instructors, students will be involved in the fundamental activities of restoration, conservation, documentation,study and storage of the nds. This course will also give students a general survey of the evolution of the discipline of archaeology over time and it will introduce them to the ancient Etruscan civilization, which forms such an important part of Italy’s culture and heritage. Students will also have the opportunity to sign up to the summer workshop in Tuscania which operates directly at one of the archaeological sites. This course analyzes the ancient past of Florence from its origins to the end of the Roman Empire. A few aspects concerning the Barbarian rulers will also be considered. The ancient town of Florentia will be discovered during each lesson through a variety of sources: written texts from ancient and medieval authors, archaeological evidence, past excavations and recent discoveries, artifacts and items housed in local museums as well as objects unearthed in recent years. Emphasis will be placed on the urban pattern by tracing and locating the main temples and sacred spaces, public buildings and private houses. Beyond acquiring a basic chronology and a timeline, students will closely examine selected topics about Roman civilization, art and architecture, lifestyle and customs. To better understand certain themes, a number of visits and eld trips are planned, including to the National Archaeological Museum of Florence and little-known archaeological areas. An exploration of warfare in ancient Greece and Rome in terms of values and ideology, impact on society, practices, arms and artefacts, and representations. For Greece the focus is on the fth-century through the Hellenistic era, while for Rome the entire time-span from monarchy through the empire and late Antiquity is considered. Students analyze the strategy and the unfolding of major wars and events, as well as the careers of outstanding gures including Alexander the Great and the emperor Augustus, promoter of the pax romana. Students come to grips with the mindset and actual experiences of commanders and common soldiers as they prepared for campaigns and engaged in battles and sieges. The civilian experience of war is not ignored. Space is dedicated to the problematic relationship between modern regimes and ancient military culture, notably the Italian fascist excavations of imperial Roman sites for propagandistic ends. When did humans first took pain to bury their dead? How did ancient people cope with death? What can graves and funerary monuments of the past tell us? This course aims to investigate the approaches, beliefs and practices of ancient societies in relation to that fundamental cultural theme that is death. Through the use of archaeological data and historical sources, with the support of anthropological theories related to death rituals, students will gain knowledge and new perspectives over the complex phenomenon of the interplay between the living and the dead. To achieve these goals, the course will be subdivided into two parts. The first part will focus on the theoretical and methodological issues related to the study of belief and ritual practice in archaeology, especially in relation to the funerary sphere. The second part will address specifically the question of how ancient societies dealt with death and treated their dead by referring to specific study-cases across the Mediterranean and the Ancient Near East, from prehistoric societies until the beginning of the Classical period. The course provides an overview of ancient Egyptian civilization. It examines the material culture and human life of the inhabitants of the Nile Valley, and surveys major sites, objects, and texts to discover the essentials of Egyptian culture, politics, art, religion, and literature. The course covers 4000 years of ancient Egyptian civilization, from the origins of its culture in the late fourth millennium BCE to the late Roman Empire. This introduction to the art and archaeology of ancient Egypt also looks at the discipline of Egyptology, in which Italy has played an important part, and it will allow students to answer such questions as How did Ancient Egypt originate? How were the pyramids built? How do you read hieroglyphics? What did the afterlife signify for Egyptians? What was the Amarna revolution? The course will explain these and other topics using archaeological data and historical sources, starting from the pieces present in the notable Egyptian Museum of Florence. Co(ok)quinarius, which takes place also within the fascinating context of the Florentine Central Food Market, explores the main elements of ancient Mediterranean food culture as the forerunner of modern Italian cuisine. Following the guidelines of the Experimental Archaeology students learn to understand, prepare, taste, and evaluate ancient Etruscan, Greek, Roman as well as Near Eastern dishes within their social dimensions and cultural perspective. Starting from the distinction between consumption of food and use of food, students explore Etruscan, Greek and Roman culinary traditions. Topics include the meanings of food, its social dimensions, the history of speci c commodities; everyday eating habits and etiquette; rituals and taboos. This knowledge permits the class to accurately understand, recreate, cook, and taste ancient recipes. During interactive lessons students will improve their practical skills, learn how to prepare di erent recipes, and develop their knowledge of both the theory and practice of food anthropology. The key of the analysis is the Food Sign, a specially-developed tool with two inseparable sides: anthropological meaning and gastronomy. This instrument helps to show that in Antiquity any given dish wasn’t a mere result of a recipe to prepare food in a particular way as part of a meal, but was inevitably linked to sacral and social meanings. Students will be able to recognize and appreciate ancient traditions and to link them to modern cuisine (when a particular tradition has continued) and interests. The traditional stories about the Greek and Roman gods and heroes have always been a fundamental part of Western Art and Literature especially since their “rediscovery” by Renaissance Humanism. The major divinities of Greek and Roman religion are examined in their historical and archaeological context, focusing on the influence that Greek myths had on the Roman world. The Iliad, The Odyssey, and Roman foundations myths and sagas will be discussed with particular emphasis on the relationship between myth and history. Visit to the National Archaeological Museum of Florence will reinforce the topics treated in class. The pictorial narratives, so common in Greek and Roman monuments and objects, will introduce the sophisticated visual language created by the Greeks to tell such elaborate tales; the visit to the Uffizi Gallery will show the students how Renaissance artists revived the Greek and Roman tradition. To know Roman mythology is to understand the real essence of the ideals and aspirations of the great Roman Empire, while in the study of Greek mythology lie the roots of modern psychology. Study of the extraordinary ourishing of ancient Greek culture in the region corresponding to present-day southern Italy. The course utilizes archaeological, literary, historical, and epigraphic evidence to provide an interdisciplinary understanding of the area where Western civilization and its classical heritage developed. The Homeric age of the 8th and 7th centuries BCE saw the end of the Trojan War. Just as Odysseus went westward, so did many Greek adventurers, traders, and refugees from the East. Greek city-states soon colonized the coastal areas of southern Italy and Sicily, an area that became known as Magna Graecia, “Greater Greece.” Its settlers mingled and intermarried with the local population, while the great city-states of Sicily, including Syracuse and Selinus, more closely tied to mainland Greece, even hosted such renowned Greeks as the philosopher Plato and the tragedian Aeschylus. Indeed, the Greek alphabet and traditions, mythology, religion, art and artifacts, philosophy, and political institutions all profoundly in uenced the wealthy Etruscans in central Italy and eventually the Romans (Horace spoke of “Graecia capta”). Signi cantly, this in uence did not supplant the deeply-rooted local languages and religions. The Etruscan and Roman worlds, unique classical civilizations in their own right, never became wholly Greek. This course aims to examine and explore a series of critical and cutting-edge issues within the field of cultural heritage in its duality of being both a victim of conflict and a vehicle for peace. It offers a trans-disciplinary analysis and a solid conceptual basis for the role of cultural heritage as viewed from multiple perspectives. Thus, the course provides a panoramic introduction to such themes as heritage protection legislation (with in depth attention to heritage destruction in times of conflict, the illicit trafficking of antiquities, white, black, and grey antiquities markets, dubious provenance, museum ethics, the restitution, repatriation, and return of cultural artifacts); cultural human rights; effective heritage management; cultural heritage in different areas of communication, and as a part of social initiatives; the “peace through culture” vision of Nicholas Roerich; and Value Education, with a special focus on heritage, as a vehicle for peace. The problem-oriented approach of the course is enriched with a number of illustrative case-studies designed to stimulate critical thinking and to sharpen the understanding of the multi-faceted nature of the issues tackled. In class lectures and reading assignments are accompanied by interactive group work and movie screenings. et cetera. These are just some examples that show how 2,500-year-old words still serve their purpose today. This course will focus on the impact of Latin on modern society and on contemporary languages, with special attention to how it has influenced English. We will show how ancient Latin words have adapted to our times and have become part of our everyday vocabulary. After introducing a few generic concepts in Linguistics, we will analyze some aspects of Latin: its origins, its history, and how it has affected many modern European languages. In particular, we will examine the case of English: we will discuss its characteristics, as we learn why more than 50% of its words have Latin roots. We will also approach the inner workings of Latin, by analyzing its core grammatical features. Then we will study some crucial aspects of Roman society -- for example religion, family and politics -- through selected keywords such as pontifex, familia and consul. As we study their original meaning, we will uncover their history and find out how such words have outlived Rome and managed to survive up to the present. Through this course, students will have a chance to expand their vocabulary, understand the underlying meanings of words, and find unexpected connections between them. This course looks at the Etruscan achievements and legacy in the areas of culture and society, the visual arts, architecture, language, funerary practices, religious beliefs, trade, government, urban planning, and family life. By examining the mysterious people known as the Etruscans, students in this course will become familiar with a specific ancient culture and discover how archaeology and classical studies apply a range of tools to analyze it. While a good deal is known about the Etruscans and a substantial quantity of the material culture still survives, much is also lost, and many questions remain unanswered. They built richly furnished tombs, which are still extant, for their noble ancestors, yet their literature has virtually disappeared. After flourishing for over five centuries as the main culture in central Italy, from the Po Valley to the area around Naples, and even ruling Rome itself, they were absorbed into the Roman state in the third century BCE. Their mineral wealth, fertile fields, good harbors, and other geographical and economic advantages fueled vigorous exchanges across the lively world of the Mediterranean. This remarkable culture affected both the Greeks and the Romans, and its ideas, customs, artistic motifs and fashions spread north to the rest of Europe. 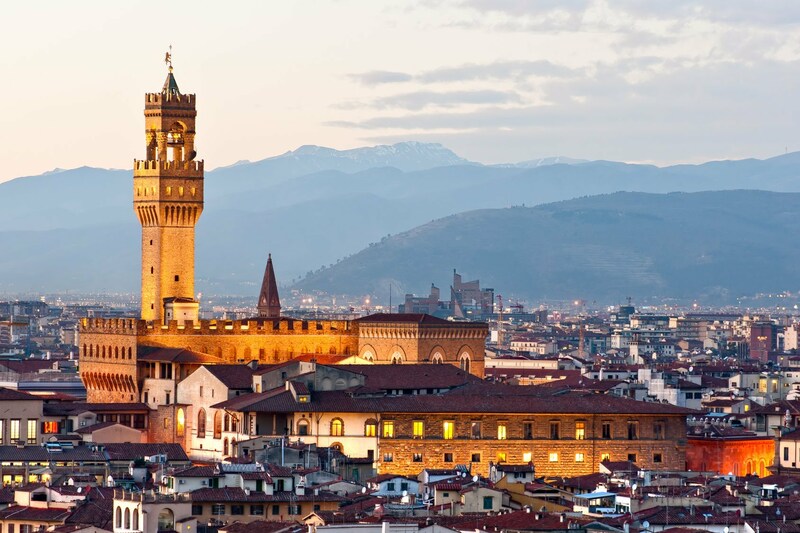 Students in this course benefit from Florences prime location at the center of Etruscan power through visits to museums and excavation sites to examine firsthand the archaeological remains of the Etruscans.